The recently held Seamaster 2018 ITTF World Tour Platinum Australian Open is being touted as a success. ITTF CEO Steve Dainton was full of praise for the tournament when he spoke with ITTF-Oceania this week about the World Tour event which was held in in Geelong from the 24-29 July. 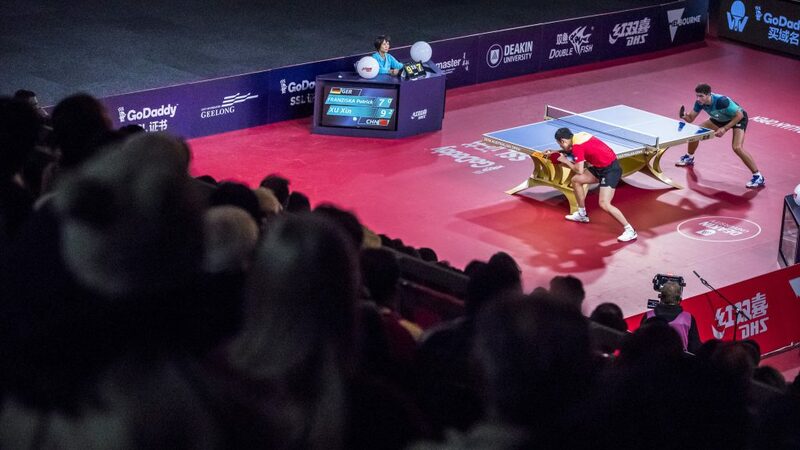 The finals were played to a sell out stadium, providing an electric atmosphere to rival some of the prevalent hotbeds of table tennis around the world. What made this feat more remarkable is that it is the first time for the Australian Open to be held in Geelong, and also the first time ITTF-Oceania has hosted the Platinum event. While the overall event was a success, some notable absences may have stopped the event from reaching its full potential. Fans’ disappointment was palpable some of the biggest names in the sport pulled-out just days before the tournament got underway. Top billing athletes Ma Long, Fan Zhendong and Zhang Jike were all on the entries list, but their late withdrawal left the event with an unfillable hole. With the event scheduled to be held in Geelong for the next two years, the Australian Open is off to a strong start, and certainly will be looking to improve on this year’s event over the coming years as the sport grows Down Under.